After he was injured in a shooting incident two weeks ago, Dwayne Hyde succumbed to his wounds on Wednesday, July 27th. The 30-year-old mechanic from the Escalante Subdivision of San Pedro Town had been recovering at the Karl Heusner Memorial Hospital (KHMH) in Belize City, but in recent days, his health deteriorated, leading to his death. The incident took place in the early hours of Wednesday July 13th at his home. According to the police, they responded to reports of a shooting in the Escalante Subdivison. When they arrived, they did not only find Hyde suffering from a gunshot injury, but also discovered a second person suffering from stab wounds. The report further stated that at about 12:30AM, 22-year-old Kimberly Humes reported that while at home, she heard a knock at her door. When she opened it, it was her common-law husband, Hyde, who stated that someone wanted to kill him. Shortly after, two male persons reportedly entered the yard of their home; one of them was identified as 23-year-old Luis Manuel Carter, A.K.A ‘Wizz’ from the San Pablo Area. He approached Hyde and after a brief exchange of words, an altercation ensued, resulting in Hyde being shot in his abdomen. During the struggle, Wizz also sustained stab wounds to the neck, mouth and abdomen, as Hyde defended himself with a screwdriver. .
Hyde was transported to the Otto Rodriguez San Pedro Polyclinic where little could be done for him. As his condition was very critical, and he was immediately airlifted to the Karl Heusner Memorial Hospital in Belize City, where he was stabilized. His attacker, Wizz, was formally arrested and charged for attempted murder, and remanded to the Belize Central Prison. However, given the fact that Hyde passed away, police are expecting to charge him with murder in addition to his actual charge, after consulting with the Director of Public Prosecution. 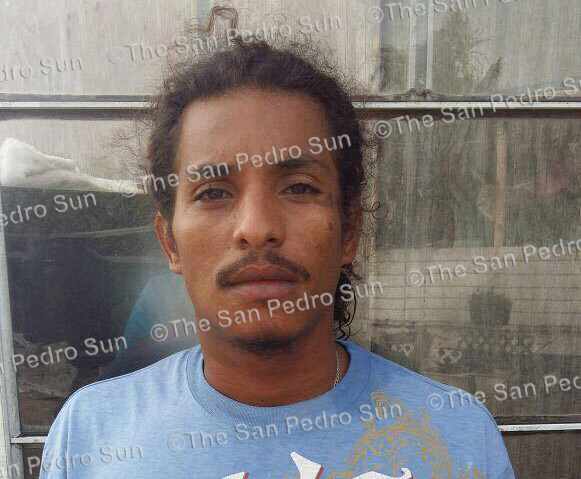 Hyde’s death marks the sixth murder for San Pedro Town in 2016.